This Spanish Colonial Revival home was built in 1927 on the southwest corner of Front Beach Drive and Martin Avenue for Hiram Minor Russell (1892-1940) by Joseph A. Wieder (1877-1960) from a design by Shaw & Woleben, Gulfport, Mississippi architects. The Russell home cost $40,000 and was destroyed by fire in late August 1937. Henry J. Terry (1890-1975) acquired the Russell lot and built a home here in 1941. 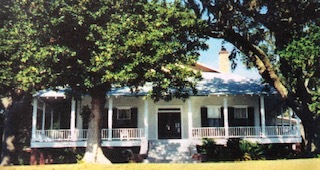 With the housing shortage created by the erection of Keesler AFB at Biloxi, Mr. Terry acquired more land around his home and built seven duplex cottages, which became known as The Terry Courts. 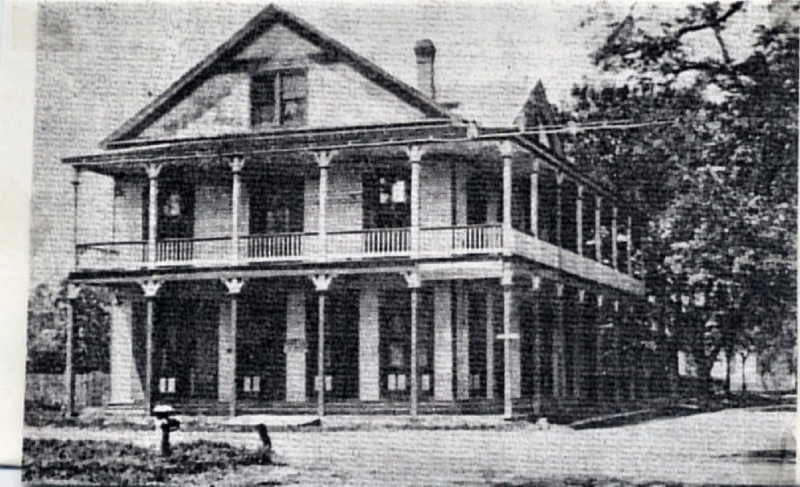 In July, the White House, formerly the Artesian House, was demolished by Charles Braun of Biloxi for its heart pine lumber. A.E. “Fred” Lewis (1862-1933) had erected this small hostel on the southwest corner of Jackson and Porter in 1891. The Paragon Saloon was situated on the southwest corner of Washington Avenue and Robinson. 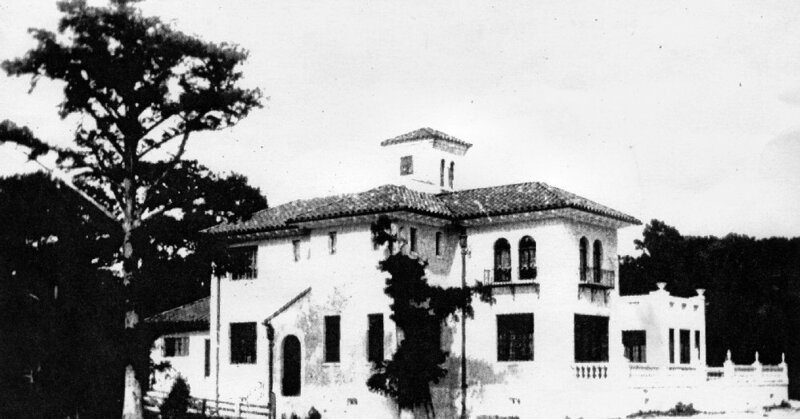 It was probably built by Thomas Cochran (1852-1883), the son-in-law of Antonio Franco (1834-1891). 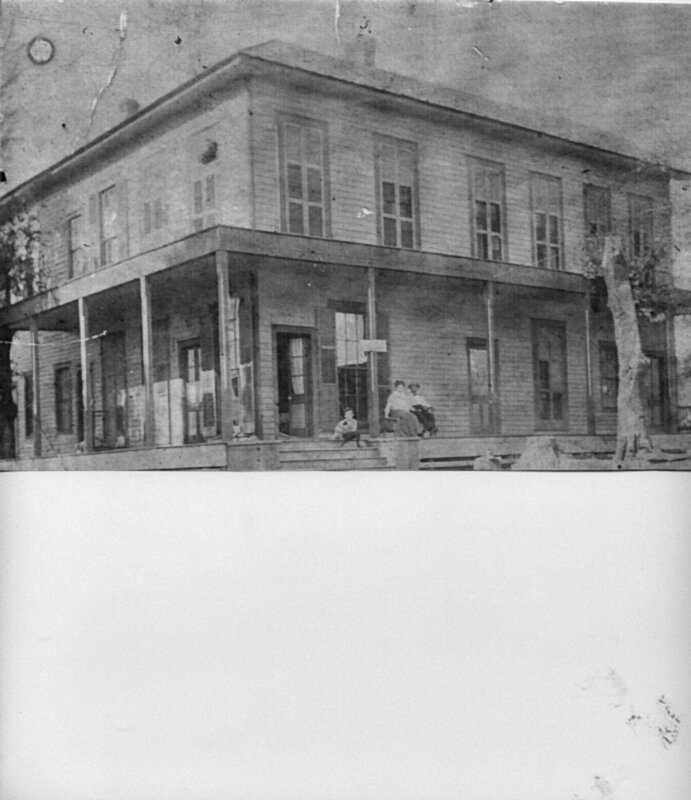 George E. Arndt (1852-1945) acquired the property in 1897 and ran his Paragon Saloon here from about 1892 to 1912. 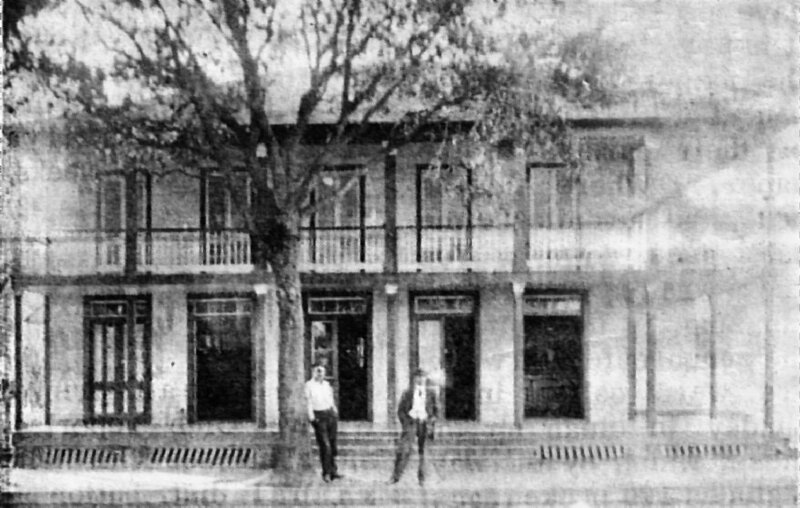 He moved the saloon building to the west and sold the lot tothe fledging Farmers and Merchants State Bank in January 1913. The Paragon Saloon until the commencement of the Prohibition era in 1919. Later, the old saloon building served as a boarding house managed by Ona May Seeman Westbrook (1886-1967), the wife of John Westbrook (1886-1922). She rented rooms and prepared meals for itinerant railroad workers. The American Legion Hall occupied the structure prior to 1925. The building was demolished by Charles Braun during the Depression years, and the vacant lot was used by mechanic, Claude Engbarth (1894-1967), to park cars on. The Farmers and Merchants State Bank was erected on the southwest corner of Washington and Robinson in 1913. A damaging conflagration occurred in the H.F. Russell home on February 11, 1933. Although the fine structure was not destroyed in the fire, its fine furnishings and interior were ruined. Due to the financial woes of the Depression, the Russell family lost their home. In September 1934, Mae Kettle Gottsche (1907-2001) and spouse, A. Lynd Gottsche (1902-1974,) acquired the remains of Case-Russell house. It had been gutted by fire in the past year. They planned to salvage the fine lumber from the floors and other structural members and utilize them to construct their family home, Lynwood, at present day 915 Ocean Avenue. The derelict Case-Russell structure was demolished and removed from Washington and Porter where it had proudly stood for fifty-three years. The Cedar Oaks Apartments and the Mark Toups, CPA building lie here today. The 1906 Jeremiah J. O'Keefe (1860-1911) home at present day 911 Porter used the architectural style of the Case-Russell house. This commercial hotel burned on May 1932. It was situated on the southwest corner of Washington Avenue and Ocean. A detailed history of this building can be found on this website in the section on Ocean Springs Hotels and Tourist Homes. This large wooden structure know familiarly as "the Big White School" was built by Frank De Bourg (1876-1954+) and completed in April 1900. It was demolished in June 1927, by R.T. Vaughan for $485 in June 1927. At the time, it was reputed to be the largest wood-frame building on the Mississippi Gulf Coast and built with fine materials. 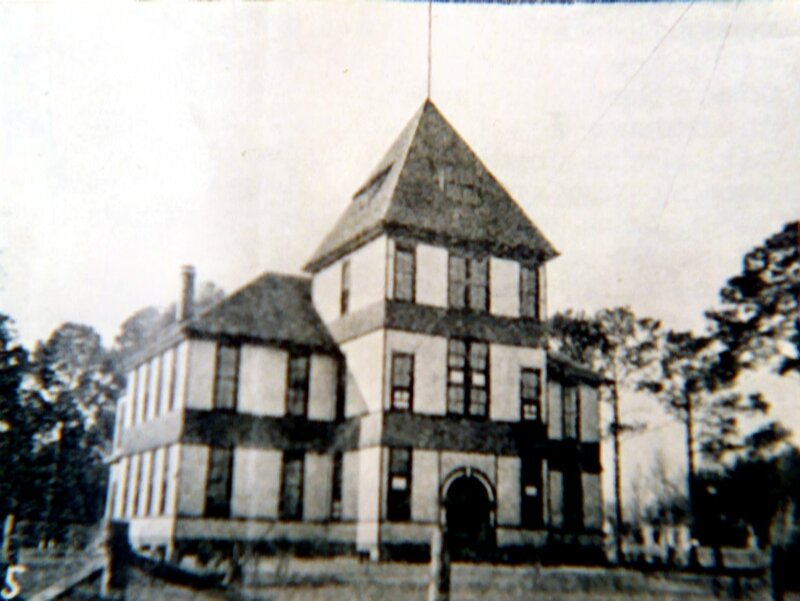 The lumber salvaged from this edifice were utilized to erect a new school for the Black children of Ocean Springs.. 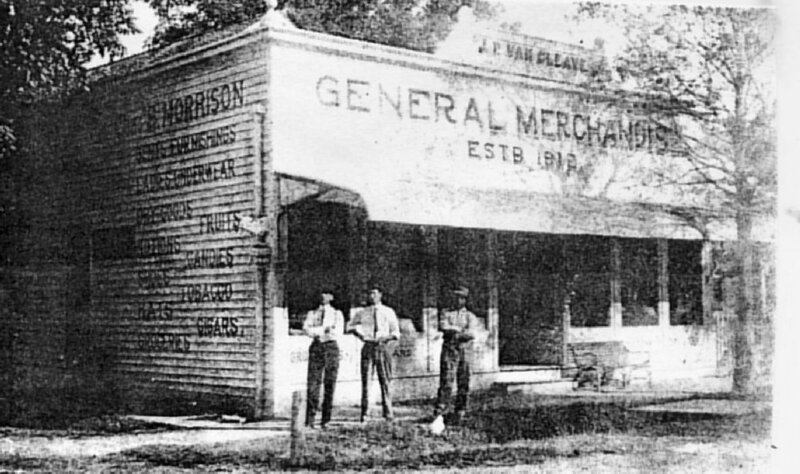 The R.A. VanCleave & Son, mercantile store, was located on the east side of Washington Avenue, between Robinson and Desoto. It occupied a two-story building, just south of the Van Cleave Hotel . Their slogan was "Best Quality and Honest Quantity". 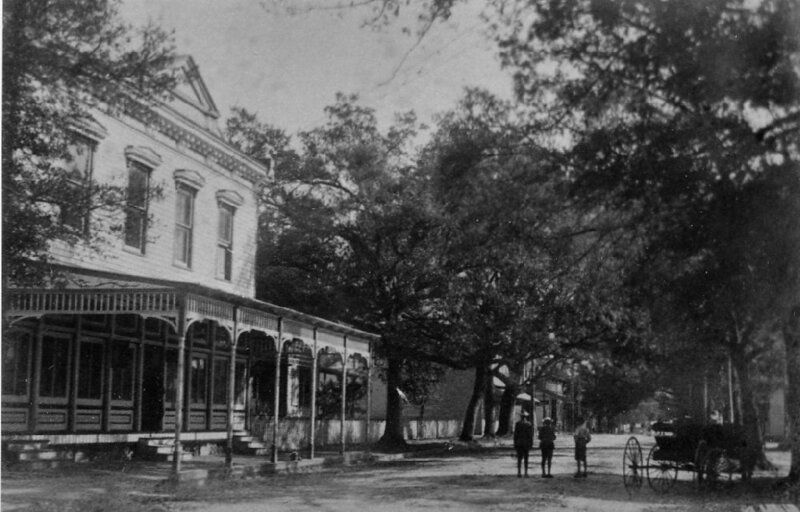 The Robert A. VanCleave (1840-1908) home was adjacent to the store on the northeast corner of Desoto and Washington. This mercantile store burned in October 1926. Early in the morning of October 26, 1920, a fire was discovered in the Commercial Hotel. This canvansary was erected in 1880 by R.A. VanCleave (1840-1908). It was situated opposite the L&N Depot on the southeast corner of Washington Avenue and Robinson. 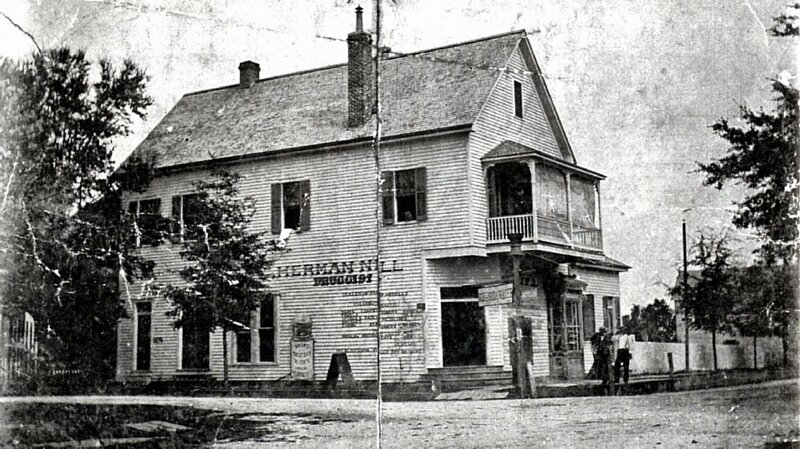 The owner, H.F. Russell (1858-1940) stated that he would not rebuild an inn here. 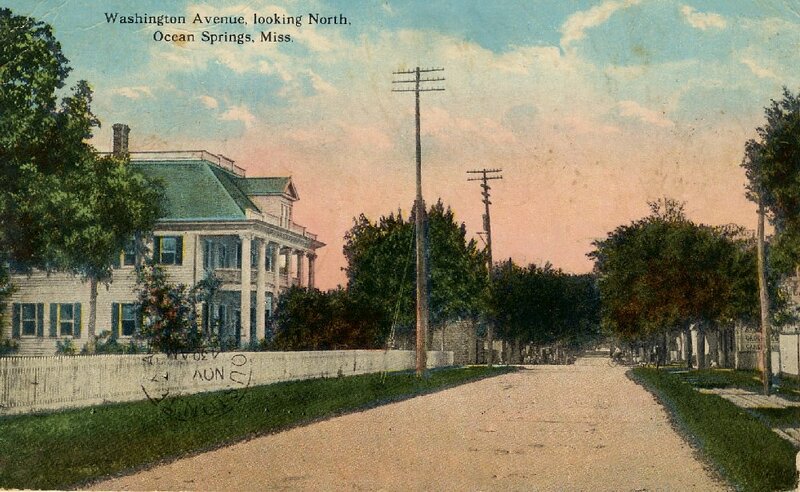 Commencing with the Ocean Springs Hotel in 1905, and the Shanahan House in 1919, the Commercial Hotel became the third Ocean Springs hotel to be lost to fire in these early years of the Twentieth Century. On December 24, 1919, the Shanahan met its demise in a roaring conflagration. The structure served as a boarding house-hotel since its inception circa 1894. It was the home of Irish immigrants, John Shanahan (1810-1892) and Maria Torney Shanahan (1826-1909). Little Childrens' Park, a public playground, is here today. In 1959, the land for this recreational space was donated by Katherine Crane Powers (1891-1961), the spouse of Neely Powers (1890-1983). 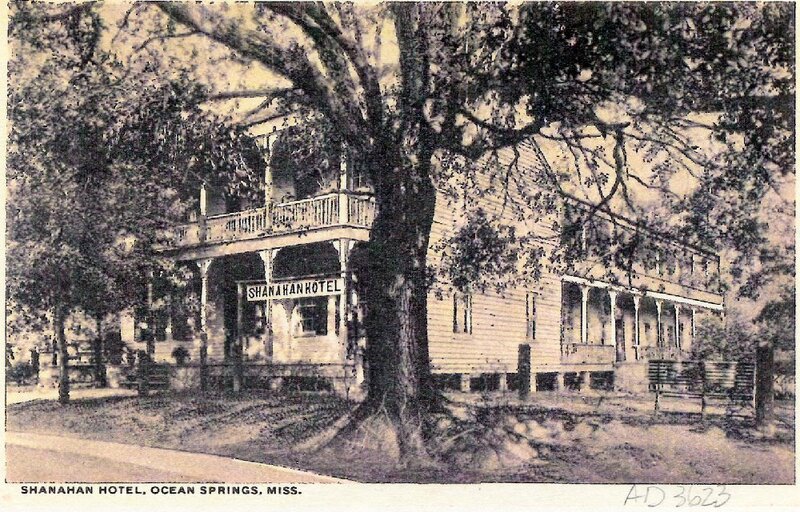 A detailed history of this building can be found on this website in the section on Ocean Springs Hotels and Tourist Homes. Courtesy of John Sterry Nill-Austin, Texas. Built in 1900 by the Vahle family from New Orleans, the Vahle House was located on the northwest corner of Washington Avenue and Calhoun. A detailed history of this building can be found on this website in the section on Ocean Springs Hotels and Tourist Homes. 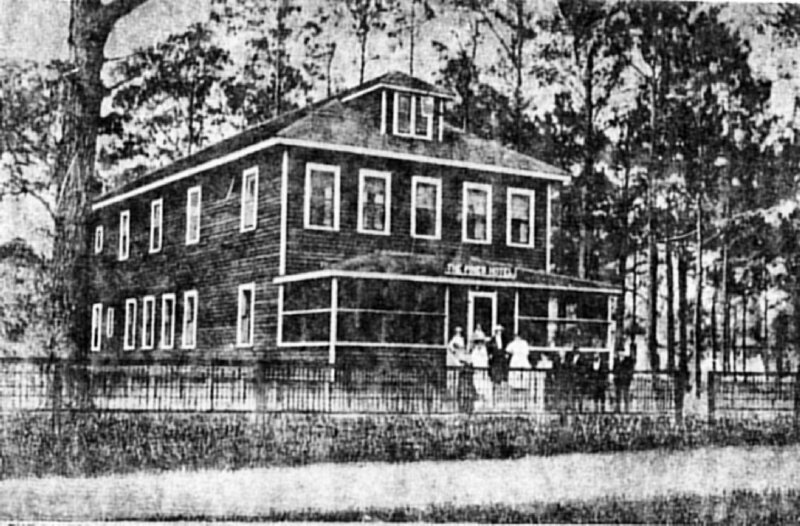 The "Big Fire" of November 1916 at Ocean Springs commenced in the J.P. Van Cleave Store building. It had been vacant for a few months before the conflagration. The rapidly moving, gale driven, blaze destroyed several cottages and the Vahle House on south Washington. Only the valiant efforts of the Ocean Springs Fire Company No. 1, Hook and Ladder Company, and volunteers citizens saved other structure in the path of the fire. Mr. VanCleave had leased the building to Charles Bickham Morrison (1868-1938) in 1914. The Illing House was erected shortly after the railroad from Mobile to New Orleans was completed in 1870. 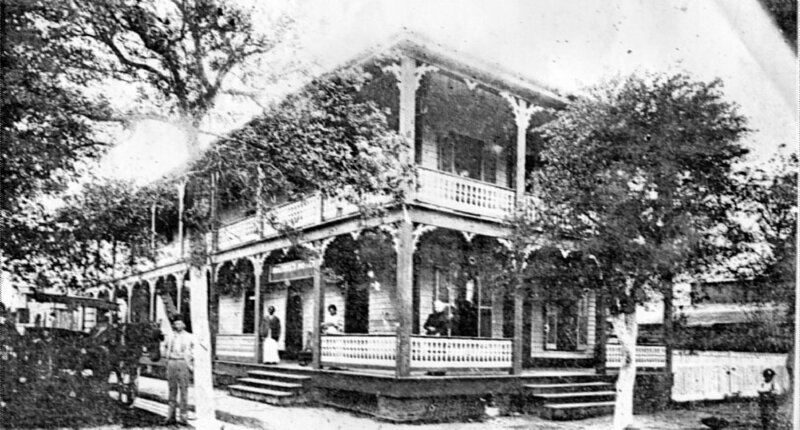 Its owners were Ferdinand W. Illing (1838-1884) and Rosalie Eglin Illing (1844-1894). They were from Germany and Alsace immigrants respectively. The Illing House was torn down in August 1905 and three Queen Anne cottages were built east of it fronting on Porter. By 1910, and open air theater was on the corner where the large inn had once existed. In 1915, E.W. Illing Jr. (1870-1947)erected Illing's Theatre, which was refurbished or rebuilt in 1927. This theater was demolished between 1958 and 1968 by the First Baptist Church of Ocean Springs. The Nill Drugstore was situated on the northwest corner of Washington Avenue and Porter. It was owned and operated byHerman John Nill (1863-1904), a native of New Orleans. The Nill Drugstore came to a dramatic end in a roaring conflagration in the early days of December 1900. The Pascagoula Democrat-Star of December 7, 1900 reported its demise in "Ocean Springs Locals" as follows:The most distressing scene witnessed in our town for a long time was the burning of the Ocean Springs Drug Store and Vahle's Livery Stable Monday night. The fire was discovered about midnight by Walter Davis the night operator for the Cumberland Telephone Exchange, which was on the second floor of the drug building.